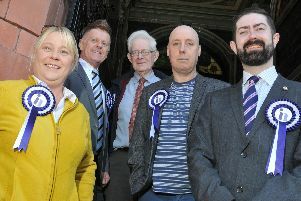 Outspoken Hindley Green independent Coun Bob Brierley has asked the leaders of the ruling Labour party and the Conservative opposition group for a meeting to discuss the idea. He says councillors should be able to have their dealings at the town hall or when meeting members of the public recorded in the same way police officers do. And he suggested having evidence of meetings on film might save the cash-strapped council money when it comes to disputes involved those elected at the ballot box. 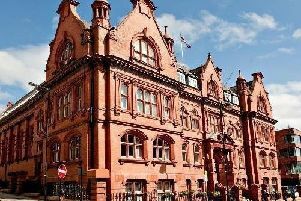 So far political chiefs have not responded to Coun Brierley’s email pitching of the proposal but civil servants have raised potential concerns. Coun Brierley himself is no stranger to conflict, having been found guilty of numerous breaches of the code of conduct over the years in hearings despite his ongoing attempts to declare his innocence. Coun Brierley said: “I think we as councillors deserve protection from malicious actions. The council should supply them to all of us because of the intimidation against us. We should be able to wear them when we are acting as a councillor on our official duties. "It will save the council a lot of money in investigations. All they will have to do is look at the cameras. “It’s an essential piece of equipment for police officers on duty and you can’t tell them to turn the recording camera off. They’ve done it because they’ve been falsely accused in the past and it provides vital evidence. Wigan Council expressed reservations about the idea, saying that any councillor feeling a camera was necessary could use their annual allowance to fund one. It added that, in an increasingly-volatile political climate, it does provide sessions to help councillors deal with threatening behaviour. A spokesman said: “We take the safety of our councillors very seriously and we do offer personal safety advice and have undertaken risk assessments and training with them.